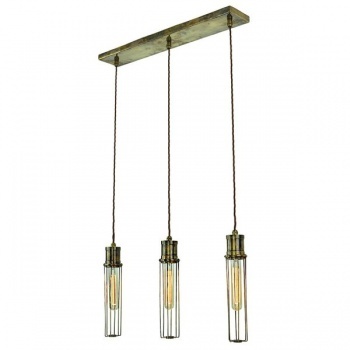 Description: Alexander 3 light pendant solid brass shown in Antique Brass and Polished Nickel finishes with silk flex. Adjustable height. ( Note height to be set on installation then fixed). 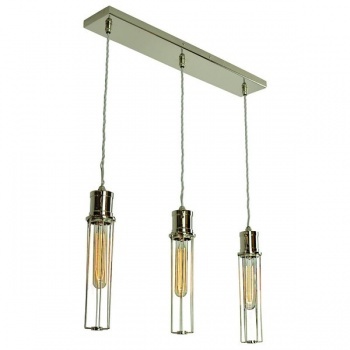 Shown with 3 x LB1 lamp (supplied Complete).